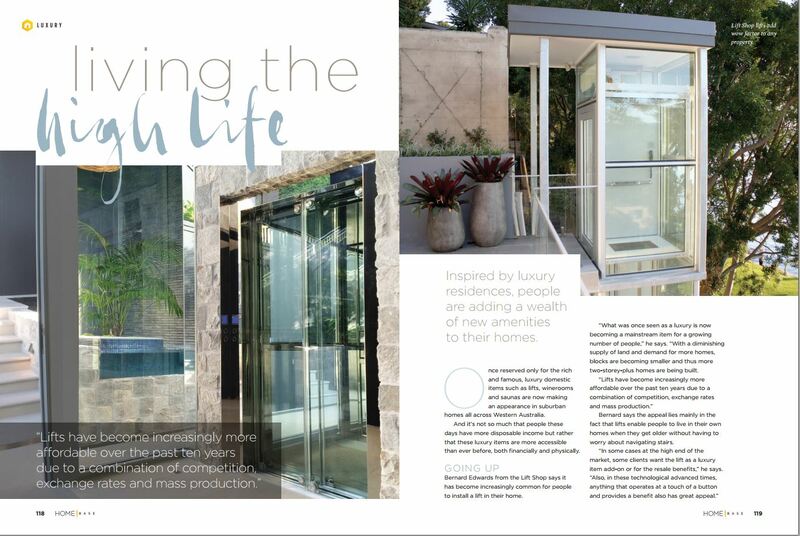 RECENTLY LIFT SHOP featured in The Home Base Magazine. ‘Inspired by luxury residences, people are adding a wealth of new amenities to their homes. ‘Once reserved only for the rich and famous, luxury domestic items such as lifts, winerooms and saunas are now making an appearance in suburban homes all across Western Australia.